I am excited to share this little gift with you today because I think it's truly one of those very versatile gifts but very personal as well (and also inexpensive and quick to make). This gift could be made for just about anyone on your list! I like to give gifts that people will use. I like to make paintings but it's hard to make a painting for someone without their knowledge. What if it's the wrong colors, wrong saying, etc...and then they feel obligated to hang it up since you spent time on it. Well, this painting is for Christmas. 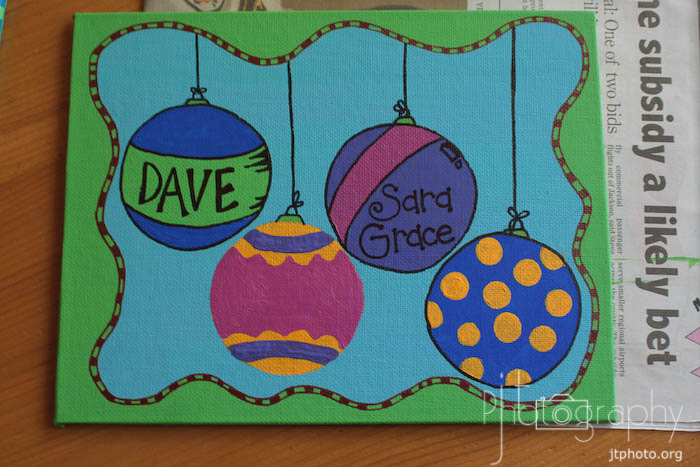 People usually love to receive Christmas decorations as gifts and this way, it's personalized and holiday specific so they can put it away after Christmas and when they bring it out the next year they'll have fun memories of you giving them their cool personalized painting! This idea is not original. The original idea was from here. Obviously mine is different, but that's what I love about pinterest...you see a good idea, bookmark it, then make it your own!! 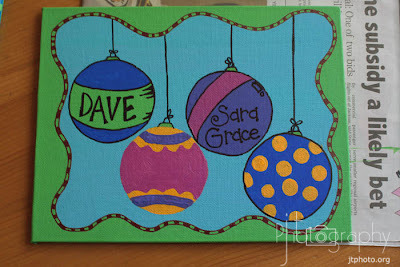 My board is 8x10...use whatever size will fit the amount of ornaments you need to paint. Paint a base coat, let it dry and then draw your ornaments and a little outside decorative edge with pencil. 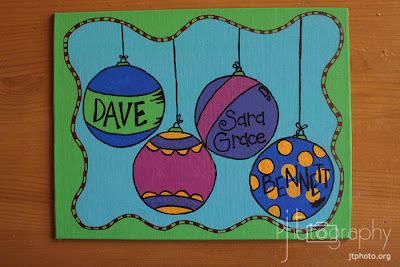 I used a small sippy cup cover to make sure my ornaments were actually circles! 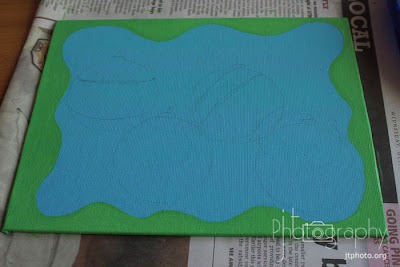 I then painted the outside a contrasting color to give it some life and dimension. 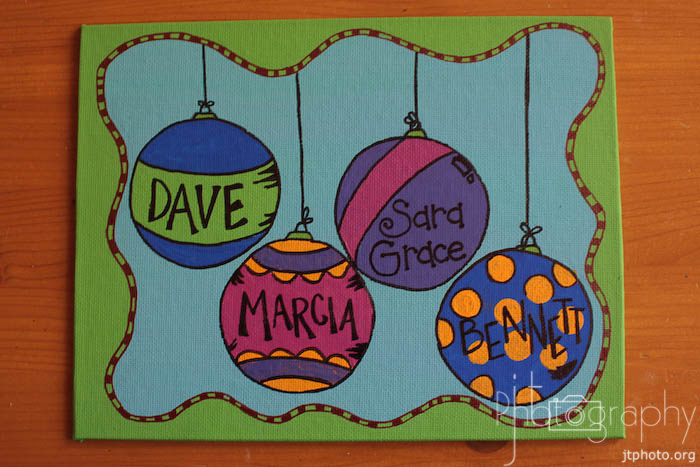 I then painted my ornaments and added some extra little "flair" with a few sharpies. I added the red border and outlined the ornaments to really finish them up and make them pop. Can you see the tremendous difference it makes to outline them? Look at the second ornament and notice the difference. 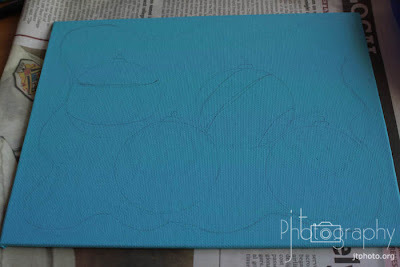 And when you outline it you can cover up some of the little mistakes that you may have made :). So here it is all finished! You could present it like this or hot glue some ribbon to the back so they have the option to hang it as well. And you could make this cute little card to go along with it. I love it when gifts match their cards!! And here's my quick little painting tip. Use a Frisbee for your pallet...if you don't already own a pallet, it's washable, sturdy and makes a great cheap pallet. Also, buy some of those "magic towels" from the dollar store and keep a few with your paints. 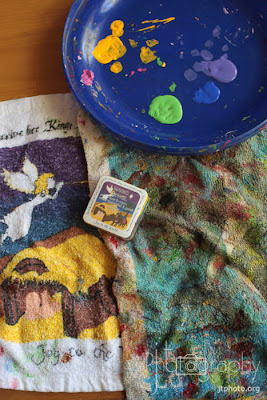 You never know when you may want to use a little towel to wipe off your brush or to use on your painting. It is also very handy to have these around if you're painting with small children...need I say more. I will include this painting with a few other family gifts and some home baked goodies. You can never go wrong with home baked goodies! 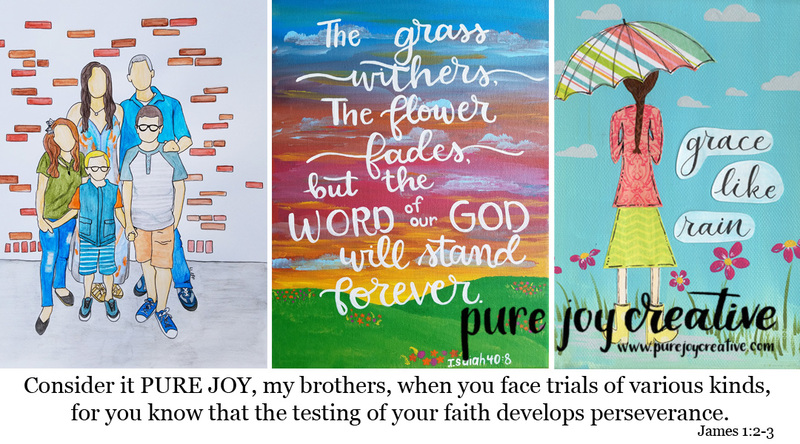 What if you don't know your neighbor too well? 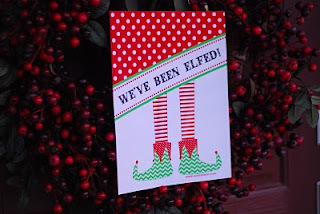 How about elfing your neighbor? I love this idea and think I'll do this as well!!! Love these as well!! I may have to make some just for me!! Can't wait to see what you make for your neighbors! Lots of giveaways and halloween projects going on right now! Hi im also stopping by from trendy treehouse i love all the ideas on your blog. im also a new follower! I'm stopping by from trendy treehouse. I'm following. :) This is so cute! I love personalized gifts. 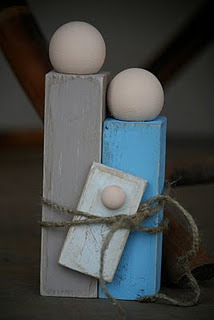 I'd love it if you linked this up to my Handmade Gift Directory. Have a great day!